Bucharest is the capital of Romania, located in the south of the country. This city of Eastern Europe was known as the “Paris of the East” in the past, due to its elegant Art Nouveau style and historic buildings similar to those in the French capital. However, over the last couple of years Bucharest is compared to Berlin, with an artistic movement on the rise and the industrial aesthetic of its streets. Bucharest is located on the banks of the Dâmboviţa River and on the plain of Romania, also called the Wallachian plain. Because of its location, winters in Bucharest are very windy and temperatures can drop to -20ºC. Over the summer, temperatures usually exceed 35ºC with occasional storms, so it can be said that the climate of the city is quite diverse. The Bucharest of today is marked by the Second World War and its communist past. A large part of the city was demolished to install buildings such as Bulevardul Unirii and Casa Poporului, both of communist architecture. Old Town is one of the few places in the city that still retains its original charm, including the classic attractions and medieval streets that make it one of the best areas to stay in Bucharest (See accommodation in the Old Town). 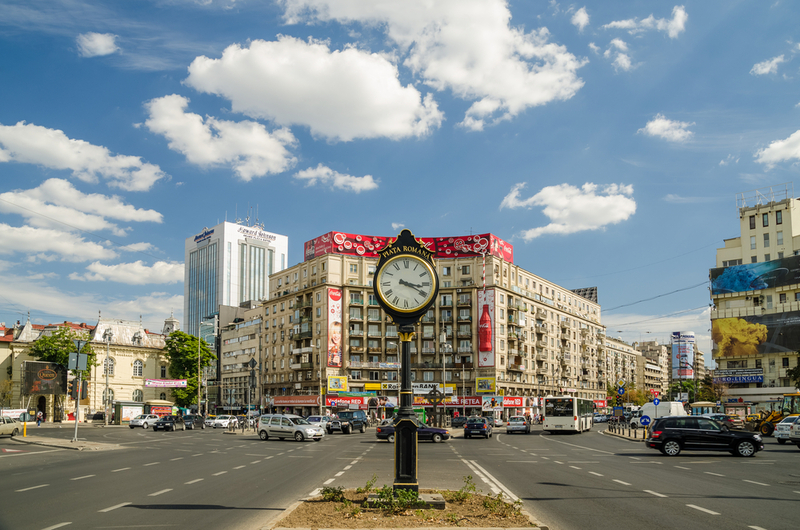 Bucharest has different transportation options including buses, taxis, and a metro system with stations throughout the city that is easy to navigate. Another reason to visit the Romanian capital is that its accommodation is cheaper than in other European cities. In addition to special hostels for backpackers, yo can also stay in large hotel chains such as Hilton or Intercontinental. It is also possible to stay near the royal Romanian family, around the Herastrau park in the north of the city, one of the best areas to stay in Bucharest if you are looking for exclusivity (See accommodation in North Bucharest). 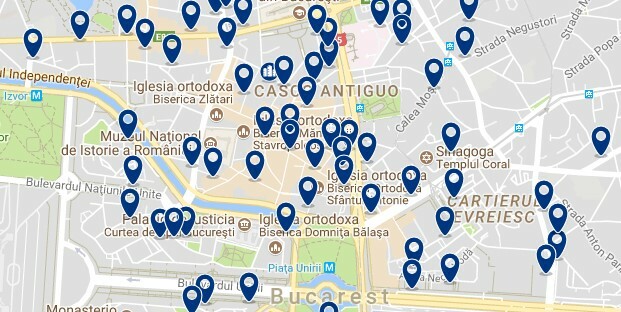 Below is a guide with the best areas to stay in Bucharest. The Old Town of Bucharest has the perfect location (right in the centre or “heart” of the city) and is the most charming neighbourhood in the city. Walking through the Old Town (or centrul-vechi in Romanian), you will see a large number of restaurants, bars and all kinds of entertainment for visitors. If you want to endulge in the city’s nightlife, this area is ideal for you. Within the Old Town, you will find buildings with French-inspired design such as the National Museum of Romanian History that create an interesting contrast against medieval monuments such as the Sfantul Anton church. The hotels in the Old Town tend to be houses of yesteryear that provide a unique experience for anyone who stays in them. 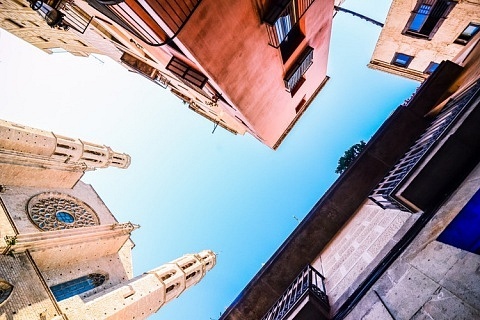 There are also budget-friendly alternatives, such as backpacker hostels. Moving from the Old Town to any other area of ​the city is easy, since it has the Universitate metro station and bus stops. In addition, the neighbourhood is also very friendly to pedestrians. The Old Town is the most recommended area for visitors in Bucharest. Offers a restaurant, a bar and free Wi-Fi, it is located in the center of Bucharest, a 5-minute walk from the University Square and the Bucharest National Theater TNB. It is a self-catering accommodation located on the edge of the historic center of Bucharest, just 140 meters from the metro stop of the University Square. It is located in the historic center of Bucharest, in a building of neoclassical inspiration overlooking the river or the city. The hotel, completely rebuilt in 2052, preserves the details of its historic façade. The north of Bucharest is one of the best areas to stay in the city. Within its perimeter is the Herastrau Park, located around a lake with the same name. This recreational space is great for a bicycle ride, but it’s challenging to cover it in its entirety because of how big it is. Another source of entertainment in the park are the small boats that can be rented on the lake. If you like to spend time outdoors, the different accommodation options in this area are ideal for you. On the other hand, the Satului Museum or Village Museum (a mandatory place to visit in Bucharest), is also part of the park and, in it, you can immerse yourself in a journey through time, getting familiar with the traditions of Romania in the process. The Arc de Triomphe, the Television Tower and other iconic buildings are also in the north of Bucharest, close to the park. Staying in the north of Bucharest is also coveted by those who want to know the history of Romania, since it is the home of the royal family. The metro station Aurel Vlaicu connects this part of the city with the rest, allowing visitors to move around easily. Luxury predominates in the north of Bucharest and that’s why it is one of the best areas to stay if you are looking for exclusivity. This 4-star hotel enjoys a quiet location in a natural setting near Lake Baneasa, a 10-minute drive from Bucharest International Airport and a 5-minute drive from Romexpo, Bucharest’s main exhibition center. Located in Bucharest, 600 meters from Herastrau Park, it offers free Wi-Fi and a garden with free-to-use barbecue facilities. There is a bus stop 200 meters away. It is located next to the huge Herastrau Park and 2 km from Baneasa Airport. It offers a free shuttle service to the city center, upon request. The Civic Centre of Bucharest was rebuilt in its entirety in the 80s and its extension covers a large part of the city. In this district is the Piata Unirii, recognized for being among the largest squares in the European continent. Similarly, the largest building in Europe is also located in the Civic Centre: Casa Poporului. 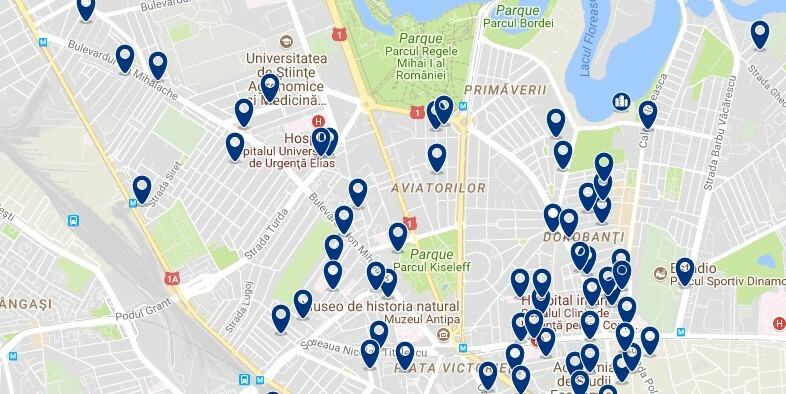 As far as historical locations are concerned, this area of ​​the Romanian capital has the Jewish Museum of Bucharest, where it is possible to see how Jews in Bucharest lived before the Second World War (it is believed that, at least, 100,000 Jews they lived in the city for 1937). The huge Casa del Pueblo, which is currently the home of the Romanian Parliament, is another highlight in this area. Within the Parliament, you can visit the National Museum of Contemporary Art. 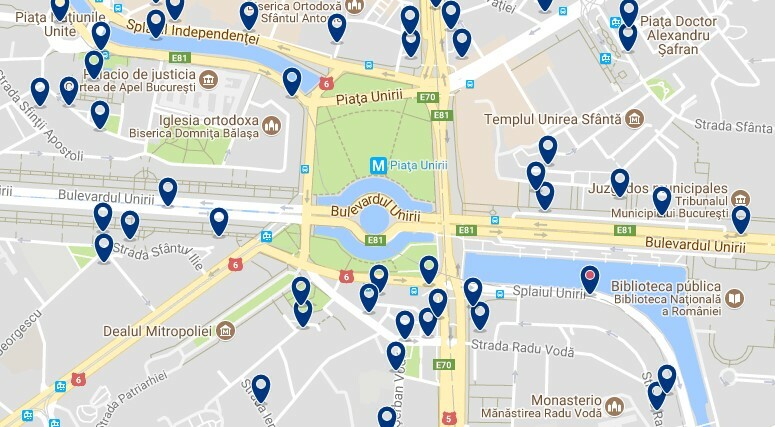 The Civic Centre and Piata Unirii are connected to the rest of Bucharest by lines 1,2 and 3 of the metro, so you can easily go from this part of the city to any other. There are several luxury hotels distributed around the Parliament, as these were intended to be military residences and ministries during the communist era. 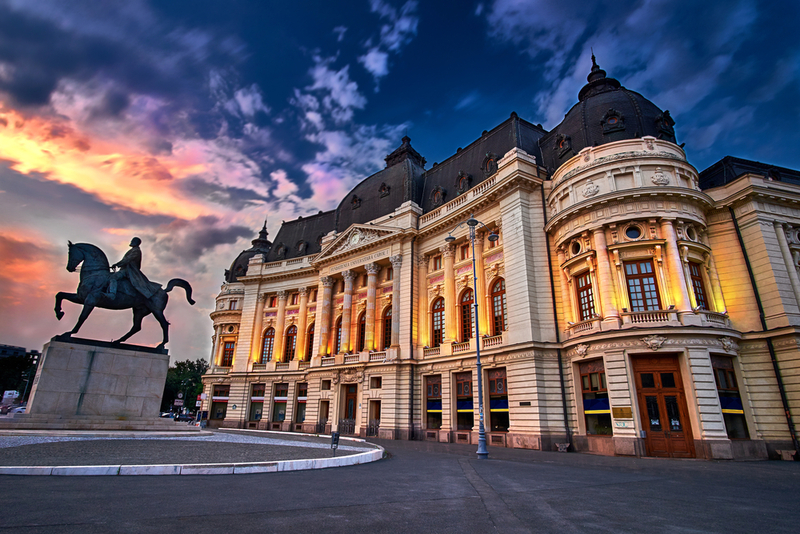 Plata Unirii and the Civic Center are among the best areas to stay in Bucharest due to their cultural importance. It occupies a 19th-century building right in the center of Bucharest and offers air-conditioned rooms, as well as a restaurant serving international cuisine. Free WiFi is available in all areas. It is located in the center of Bucharest, near the Parliament. It has attractive rooms with free Wi-Fi. It houses 402 deluxe rooms, 6 restaurants, a convention center, wellness and spa center, a shopping arcade and the Gran Casino. Free WiFi is available in public areas. 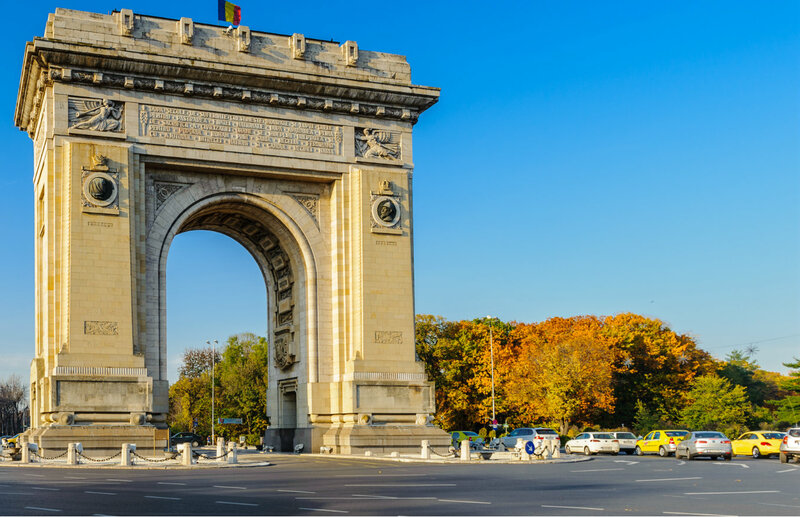 Boulevard Dacia and Piata Romana are also among the best areas to stay in Bucharest. They lodge in their beautiful streets some 19th century villas that are a visual spectacle. In addition, unlike other areas of the city, most of its buildings survived the demolitions of the communist era. Around the boulevard and the square, you can find exclusive hotels, avant-garde shops and high-end restaurants, making it one of the favourite places for those with a bigger budget. This district, like the north of the city, if famous for being the home of the upper class of Bucharest. Consulates and embassies from other countries are also located in its streets. Other cultural attractions in the area include the National Museum of Roman Literature, the Roman Athenaeum and Ioanid Park. It is in this part of Bucharest where some of the most important avenues of the Romanian capital meet. Despite the heavy traffic, the beauty of its architecture and the different entertainment options make this one of the best places to stay in Bucharest. Both Bulevard Dacia and Piata Romana are connected by metro with the rest of Bucharest. It was inaugurated in September 2011. It is completely renovated and enjoys a privileged location in Piata Romana, close to the main tourist attractions of Bucharest. It offers very spacious rooms with lots of natural light. It is located in Bucharest, 900 meters from the Romanian Amphitheater, and features free WiFi. The property is close to several famous attractions, 1 km from the Ministry of Health, 1 km from the Bucharest National Theater TNB and a 13-minute walk from the National Museum of Art. It is located in Dorobanti, in a central residential area of ​​Bucharest and 500 meters from Piaţa Romană Metro Station, offering various dining options and colorful, unique and original rooms. Free WiFi is available in all areas.